Ittichai is a Partner in the Commercial Litigation practice of R&T Asia (Thailand) Limited. 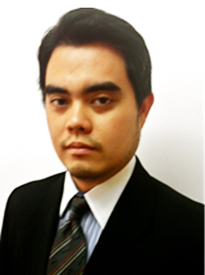 Ittichai graduated with a Bachelor of Laws from Thammasat University in 1999, and is a licensed Thai lawyer. Ittichai is fluent in Japanese and Thai. Ittichai has over a decade of experience in Thai civil and criminal litigation in the Court of First Instance, the Appeal Court and the Supreme Court. He previously practiced in the dispute resolution group of an international law firm in Thailand, during which he gained several years’ experience in advising and representing Thai and international clients in commercial disputes in the Thai courts. Ittichai is well versed in general commercial matters including construction, trade competition, joint venture and shareholders’ disputes and customs’ cases. Ittichai’s other area of strength is employment litigation, including disputes involving labour unions, and matters involving the revocation of orders of the Ministry of Labour, Labour Protection Officer and Labour Relations Committee. He is also familiar with bankruptcy and business rehabilitation cases, arbitration proceedings and intellectual property cases (including patent and copyright cases). Represent an offshore drilling company in several labour court disputes. Represent a huge US consumer product company in defending claims of unfair dismissal by an executive employee. Represent a huge US food and beverage product company in defending claims of unfair dismissal by an executive employee. Acted for a huge US exhibition company in defending and counter claim for business competition against an executive employee. Acted for a Japanese engineering and communication systems company in civil claims against the Customs Department to revoke the assessments of the Board of Appeal and defending related criminal charges. Acted for a Thai and Japanese joint venture manufacturer company in proceedings relating to civil and criminal liabilities of a company director. Represented a major Japanese department store in the domestic arbitration relating to a breach of share sale and purchase agreement. Acting for a leading Thai real estate company in a construction dispute relating to a hotel and resort construction project in Phatong Phuket Province (Thailand) against its contractor. Represented a Japanese industrial steel business in an Administrative Court case relating to a suspension of operations at the Map Ta Phut Industrial Estate. Acted for a Japanese chemical industrial company in the Central Intellectual Property and International Trade Court relating to patent issues. Acted for a US gold decoration and jewel company in applying to revoke the order of Labour Relations Committee and Ministry of Labour. Acted for a Thai and Chinese joint venture construction company (as debtor and planner) in a financial restructuring leading to business rehabilitation proceeding in the bankruptcy court. Acted for a US medical company to revoke the order of the Labour Protection Officer. Acted for a leading Thai and US exhibition company in a business competition dispute arising from the involvement by a senior member of management in a competing business. Acted for a leading international insurance company in defending claims of unfair dismissal by an executive employee. Acted for a leading European insurer in a consumer protection case (before the Office of Consumer Protection Board and subsequent court proceedings) arising from a construction dispute. Acted for injured person against leading Thai hospital regarding professional negligence and wrongful act claim.